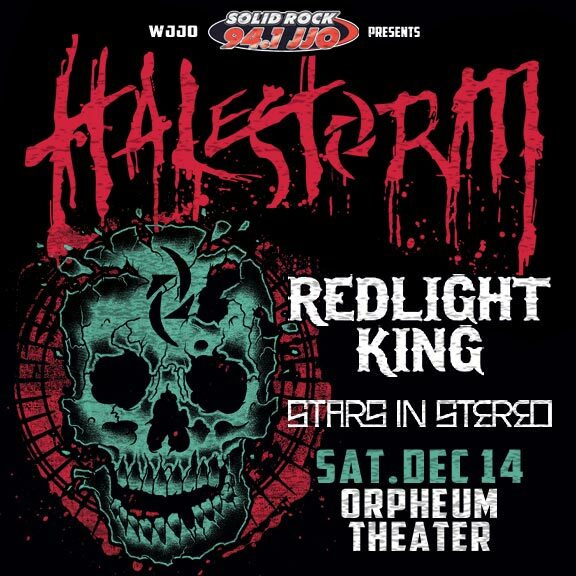 Just Announced Madison Concert + Win Tickets Before You Can Buy: Halestorm, 12.14.13 | True Endeavors Presents: music, tours, tickets, mp3 downloads, concert pictures, videos, Madison WI. Tickets on sale through our Music Calendar Friday, September 6 at 10am. love halestorm great﻿ band ! oh HELLS YEAH. I am PUMPED. Where can we find the presale password for tomorrow? Thanks! I will try that. We have a group planning on going. It’s going to be an awesome show. Amy, the tix are yours! Check your e-mail. Congrats! What a perfect early Xmas present for my wife who loves Lzzy. This would b the best anniversary/Christmas present ever!